People find it easier to recognize images than text-based passwords*. 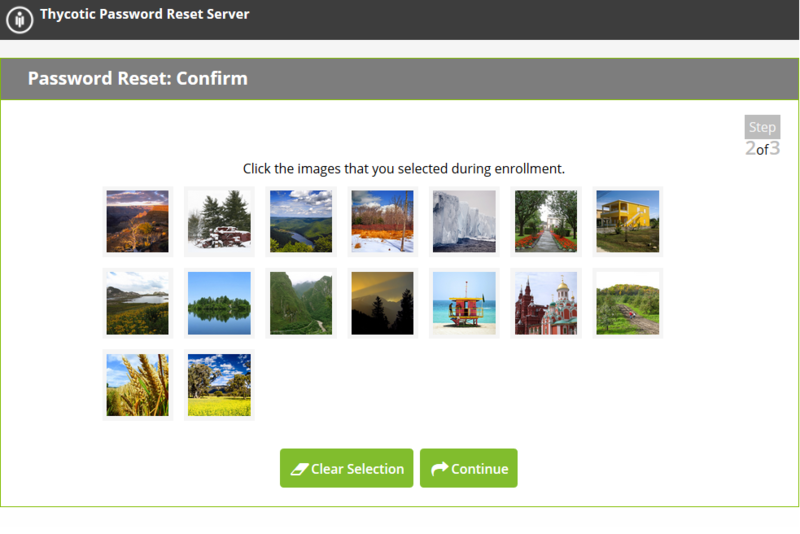 Password Reset Server provides graphical images as an option to authenticate end-users during the reset process. End-users are tutored on their images during enrollment. You may choose how many images must be recognized, and whether or not the order of the selection matters. The Graphical Image Recognition feature is optional and can be configured per the Security Policy.